On Friday we introduced to you, HP Canada's newest line in printing technology: the HP PhotoSmart eStation all-in-one printer. A Motherhood Experience was lucky enough to be among a select few bloggers invited to experience it for ourselves! The HP PhotoSmart eStation provides hours of fun for the whole family. The printer acts as an online hub and offers unique ways to stay organized and connected. It's about the size of a typical printer -- with a unique catch. It has a 7", full colour, wireless companion called the HP Zeen. It allows you to browse the web, watch movies, read books, listen to music and print just about anything mobile! HP ePrint is a really awesome feature. It let's you print and share anytime, anywhere. Each web-connected printer has it's own unique email address, meaning you can send any photos or documents from any email enabled device! HP Print Apps has content for the whole family. Partners like Kraft, MapQuest and Disney, print coupons for your shopping list, a map for the out-of-town party and activities like colouring pages and games to keep the kids entertained - all without using the PC. We were very impressed by the HP PhotoSmart eStation! It's a great utility for the home office especially if you do a lot of traveling or deal with a lot of out-of-home work. The ePrint almost acts like a virtual fax machine, we can print anything from virtually anywhere, anytime! The printer itself is great! There is a compartment for photo paper and a compartment for standard sized paper. Also, if you have to print out a double-sided document, the printer does both sides at once! We tested it out by printing a photo of DH and I, it came out crystal clear! Much nicer than other photo printers we have owned in the past! Also, the kids were happy when they saw we could print out colouring pages for them, so that we did! They had a blast colouring in the fantasy characters they chose from the available pages on the HP Zeen! The first feature that caught our eye of course was the HP Zeen, one of the best features of the whole eStation next to the ePrint and apps. You can browse the web and print out pages or documents, visit Facebook (which has it's own app!) and print out photos that friends tagged you in, there is so much you can do with it it's pretty amazing! 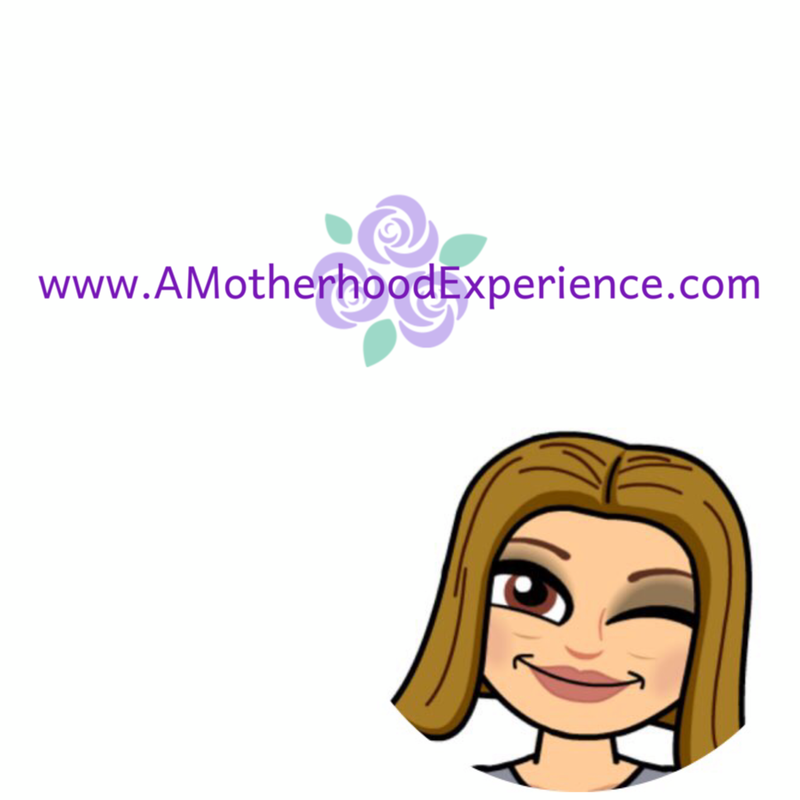 A Motherhood Experience seen on the HP Zeen. As Official Chief Household Officer, the HP PhotoSmart eStation definitely makes staying connected a whole lot easier! For more information about the HP PhotoSmart eStation visit the official website! Giveaway for HP PhotoSmart eStation has ENDED! Congrats to the winner! Posted in partnership with HP Canada. Complimentary product received for review purposes. opinions and comments are those of the author and are not influenced by compensation or product samples. If I win the photosmart e station, I will print out all the beautifull pictures I've taken, and try out all the feathers, it sounds so cool! I would at first try to figure it out..(Im not technolgy smart..lol) ,then I would print out some pictures.. I also like hp canada on facebook. This printer has sooo many possibilities but I think I'd use it most to fire off quick preview prints for my photography business clients. A great way to get instant gratification while awaiting print shipments from my commercial lab in the states! I might actually get around to printing some photos of my kids! lol great giveaway! If I were to win the HP PhotoSmart eStation I might actually get my kids baby books finished (they're 21,19 and 7!!!) I follow you on Twitter (@Agent_Janet) and like yours and HP's FB page! 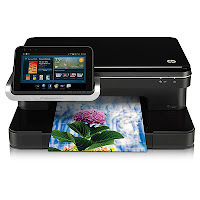 I would use my HP PhotoSmart eStation all-in-one printer to print pictures. I like that it has a 7" full colour screen and a HP Zeen. As a new business owner and taking loads of photo's of my little dude, this would come in handy for printing photo's and stuff for my e-shop! I like you on Facebook and posted a memo. I like HP Canada on FB, love HP products! I would print off some coupons. I love the HP Print Apps idea! I don't have a printer at the moment so this would come in handy! I would print off pictures! I would use the HP PhotoSmart eStation to print family photos. i would love the new hp photo smart e station all in one printer with the detachable hpzeen.i will print photo of my grand childrens and loving fammily and friends for futur memories.ans also i wiill print document from anywere with just a single email address.thats awesome .i just love hp it just make your life simple thank you. I love taking pictures (perhaps TOO much! :-) ) so I would most certainly use it to print off my own photos for personal use and gifts! I would use all the fab features. I would let the kids have it as their very own printer...for school work and fun art projects...That way the HP my husband and I use can be solely for work...Besides the kids...all 4...would find it way cool to have their own.. If I were to win the HP Photosmart e-Station it would take my scrapbooking to a whole new level!! I like HP on Facebook Julia G.
The HP PhotoSmart eStation sounds amazing. Perfect for our family. We have a very hectic life, we're always on the go and we take photos as part of our work and home life. I would use the HP PhotoSmart eStation to do my job, to keep the kids happy, to take with us when we go out of town and to use at home. If I win I would print out sweet photo/memories that are on my memory stick! I really prefer to have them on paper to see and to place them in Old Skool real photo albums! But for some reason it doesn't get "done" Thanks in advance for this sweet chance! I would finally be able to print my coupons at home, instead of relying on my husband to remember to bring them back from the office! Likin' HP Canada on FB, too! I would use it as both a business and personal printer as it has lots of fun and exciting features.